"Spirit of the Gourd" is the first in a series of Giclee prints. There are 5 artist proofs and a limited edition of 95. These giclee prints are a high resolution digital montage of Jan's gourds, printed on art quality canvas suitable for framing. The print quality rivals that of gelatin or silver halide prints, found in galleries and museums. Since no screens or mechanical printing presses are used, there are no dots or moire patterns. 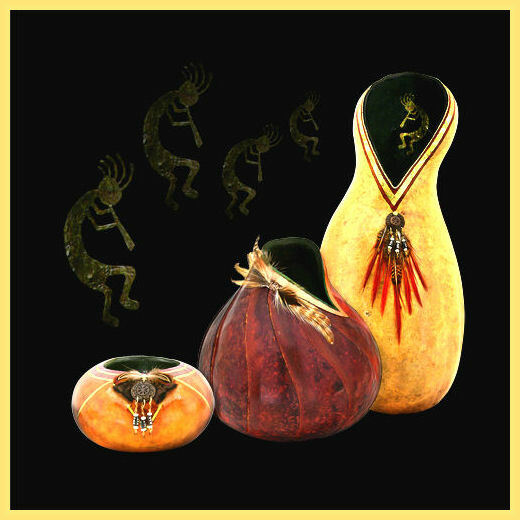 The image maintains the tonality and coloration of the original, three-dimensional gourds.